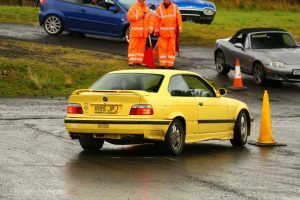 The inaugural Scottish Road Car Series came to an exciting close on 21st October at Kames, with a 24 car entry, a new winner, a former British Touring Car Champion, a capacity crowd and nail biting battle for 3rd place in the championship! Showers and blustery weather throughout the day made for some challenging conditions for drivers and organisers alike but this most certainly did not dampen spirits! New for this event was a special ProAm format to encourage drivers to pair up to compete as a duo. There were a few entries in this class but notably, Double British Touring Car Champion, John Cleland made a guest appearance in the ProAm class in the Scottish Motor Racing Club’s Citroen C1 race car, which was there to promote the affordable new Citroen C1 Cup racing series that will launch in 2019. Joining John in the Citroen, was our competition winner – Scott Addison – who put in an impressive performance alongside his esteemed team mate. Both John and Scott well and truly rang the Citroen C1’s neck to finish 3rd in the ProAm class. A strong crowd gathered for this event courtesy of Tartan Tarmac, who held one of their breakfast meetings at the event. 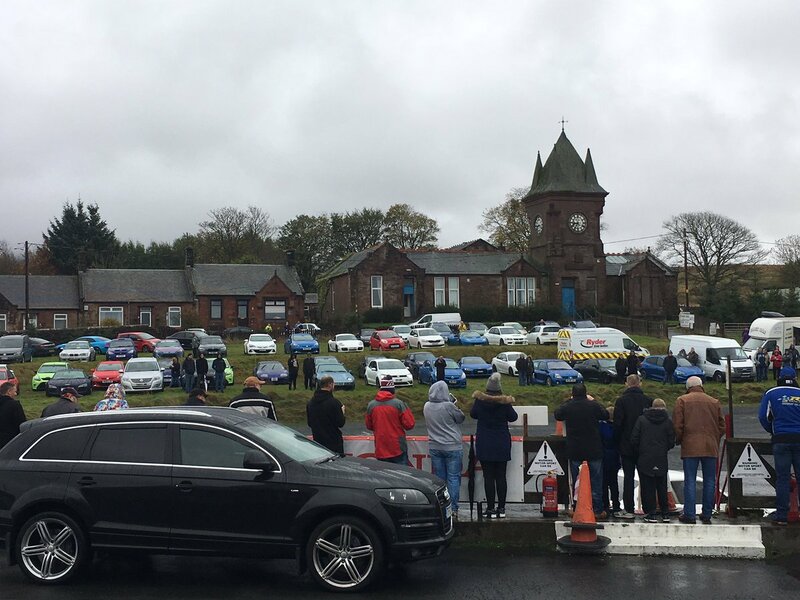 The Kames venue was at capacity by 11am, with well over 100 vehicles on site and many more lining the road outside the venue. Fraser Stark did his upmost to keep the crowd entertained in his impressive BMW M3 drift car, which was entered in the Street class (for non-road legal vehicles). Likewise, recently crowned series champion, Steven McConnell put in an equally flamboyant performance in the Nissan Skyline he shared with Stephen George which also turned out to be a crowd pleaser. On form James Stephen, unfortunately had to retire form the event after a clutch cable issue in the Megane he was sharing with David Abbot. Elsewhere, it was good to see Colin Duthie of Disability Motorsports Scotland making his debut in the series in their hand control Citroen C2 car. 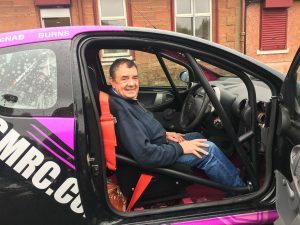 Colin was joined by junior Rally competitor – Amy McCubbin – who used her rally experience to help navigate Colin around the East Ayrshire Car Club’s technical tests. Colin was using the event to evaluate opportunities for more of their membership to compete in the series in 2019. This event also attracted a couple of competitors from other motorsports disciplines, including Scottish racer, Emily Glanvill, and former Scottish Fiesta Racing Champion; George Orr. Emily put in a fine performance in the Skoda she shared with series regular – Andrew MacDonald – to finish in 7th and George Orr put in a stonking performance on his debut to go fastest in John McLeod’s Audi TT and win the event. The Audi was clearly well suited to the Kames venue, with John taking a fine 2nd, followed by Championship rival Bob Mather in 3rd. This result also saw George Orr and John McLeod take the ProAm win from the pairing of Andrew MacDonald and Emily Glanvill. Andrew MacDonald also took driver of the day for his efforts keeping hustling his big diesel round the tight East Ayrshire venue. Coming into this round it was very close between John McLeod & Bob Mather for 3rd in the championship; once dropped scores are taken into account this result ties the pairing on 76 points but Bob’s early season win at Ardeer means he just pips John for 3rd overall making it a nail bitingly close finish! Well done Bob but also to John, in what has been his first ever venture into motorsport competition this year. We also have to congratulate our series champion – Steven McConnell – who has been hugely impressive all year, in every car he’d driven. Congratulations also to Ryan Gardiner for taking a well-earned runner up spot in his Mazda. 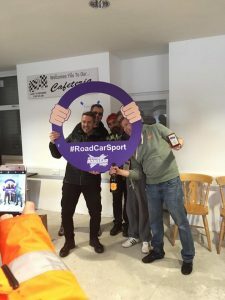 All in all, it has been a successful debut year for the Scottish Road Car series; over 60 people registered for the series and we have been delighted to see that number include so many newcomers to the sport. The standard of driving at the front of the field has been very high but it’s been equally impressive to see how far some motorsport newbies have progressed over the year and to witness the camaraderie that has developed between competitors throughout the whole field. We’d like to say a big thank you to all the clubs and volunteers who have worked to put some fantastic events on throughout the year and we would also like to say a huge thank you to all the competitors who have support the series; we’re going to be working on plans for 2019 to make the series bigger and better and look forward to sharing our vision for the series and hearing your thoughts on it over the coming months. Until then, remember – whilst that’s the road car series over for 2018 – there are other club events throughout the country that are similar to the road car series and that you can take part in. 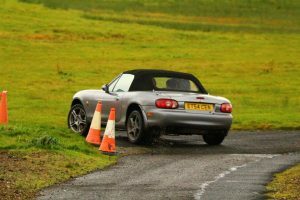 Check out the Scottish Association of Motor Sports Clubs (SAMSC) calendar for all event details and if you have any questions, don’t hesitate to give us a shout!